You’re in prison. How did that happen? Who knows. All you know is that you need to get out.| | First you’ll need to avoid the lookout guards, searchlight, guard dogs, and whatever else they can throw at you. Avoid all of these things and you’re freeget caught and you’re back in the slammer. Summary Prison Breakout - You're in prison. How did that happen? Who knows. All you know is that you need to get out.First you... Info. 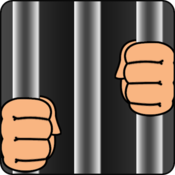 License$0.99 version1.1 File Size4.8 MB RealeseApr 27, 2011 DeveloperSovamo, LLC O.S.Mac OS X 10.5 or later Description You're in prison. How did that happen? Who knows. All you know is that you need to get out.| | First you'll need to avoid the lookout guards, searchlight, guard dogs, and whatever else they can throw at you. Avoid all of these things and you're freeget caught and you're back in the slammer.